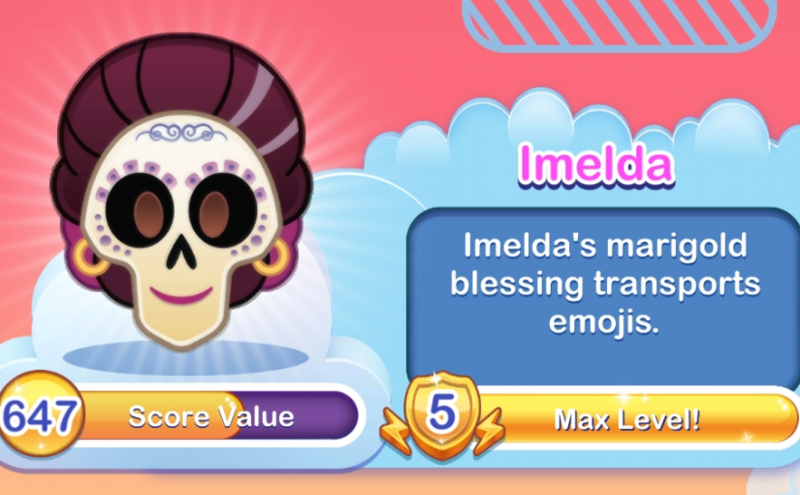 Imelda’s merigold blessing transports emojis. Merigolds blow across the board, pushing one emoji together to the right edge of the board. This often creates new powerups. 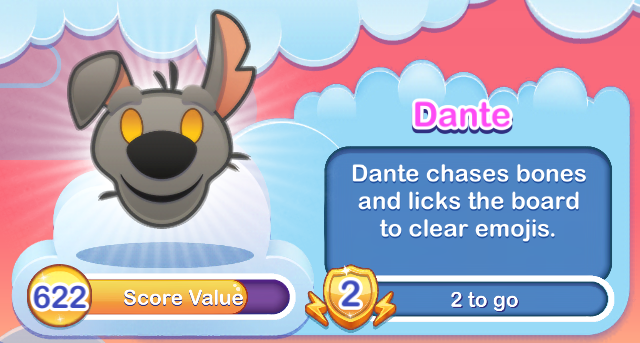 Dante chases bones and licks the board to clear emojis. A Xoloitzcuintle named Dante might not look too bright, but he really knows a thing or two. Use his help to clear the board and help you find your familia. Strum the guitar to turn emojis into Migeul. 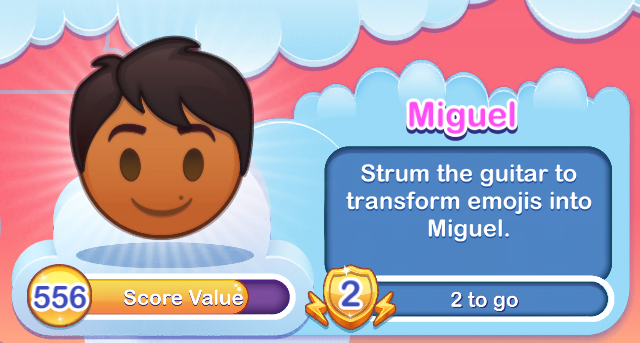 Miguel has always wanted to be a musician! Strum the guitar with your finger quickly to fill the power meter and make his dream come true. Héctor celebrates with marigolds and clears the edges of the board. Being a spirit in the Land of the Dead isn’t always what is is cracked up to be. 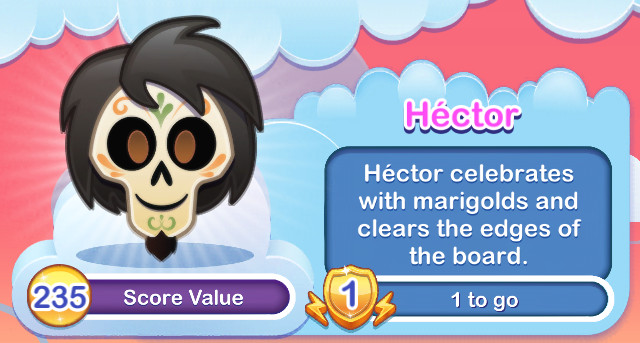 Use Héctor’s power to celebrate Día de Muertos by spreading flowers around the edges of the board.